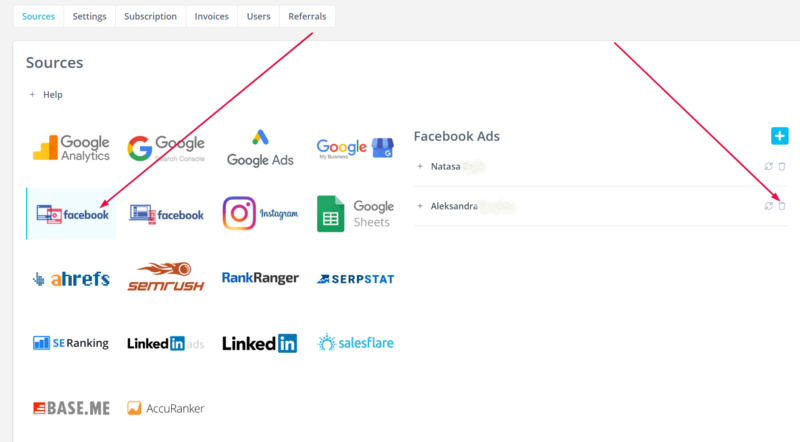 How to remove specific data source from my account? 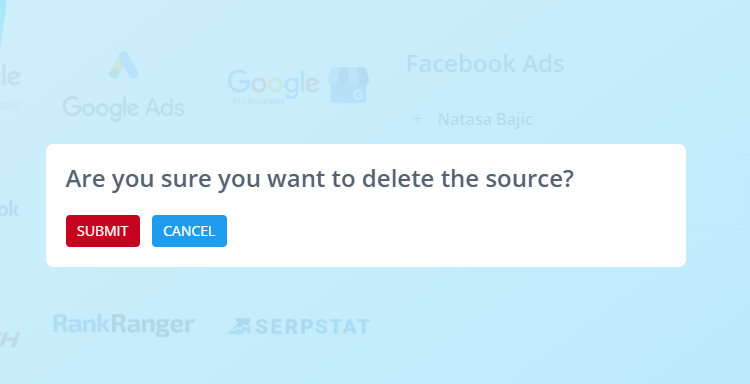 To remove any data source you have already connected with Reportz, go to the Sources page, select the integration you want to remove and on the right side, click on the link. Once you do that, you will be asked to confirm this action.